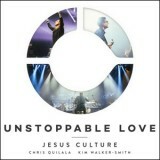 Reviews of praise & worship albums by the WorshipReady.com staff that are geared towards other worship leaders. Our purpose is to help you find new, quality worship material to utilize in your church or area of ministry. A new worship band and source of great new songs has hit the scene and is making quite the impact already! 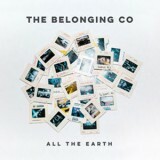 The Belonging Co has released their first project entitled "All The Earth", featuring 17 original tracks from The Belonging Church in Nashville, Tennessee. The church was started in 2012 by Henry and Alex Seeley, who's name you may recongize from their involvement for many years with Planetshakers ministries in Australia. I always love to see a new project come out of North Point as they consistently bring fresh material to the table that is very accessible and effective for congregational worship. 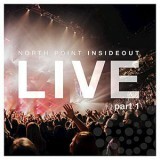 InsideOut is the band from North Point's student ministry and their "No One Higher" album is one of my all-time favorite worship albums! Now, they've released a LIVE "Nothing Ordinary" EP, which is labeled as "Pt. 1". It contains 5 songs, so hopefully Pt. 2 isn't something we have to wait too long for! 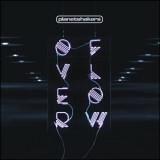 I have been a big fan of Planetshakers for many years and love leading their songs as a worship leader, so I was of course excited to check out their latest album, "Overflow", which released on Sept. 30, 2016! It contains 14 new songs, about half and half fast versus slow tempo, and almost all of them could easily be incorporated into most contemporary worship services! This album effectively covers the spectrum from the lively up-tempo songs to the simple and intimate moments of worship and prayer. 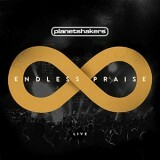 We at WorshipReady.com were very excited for the new Planetshakers "Endless Praise" Live CD to be released on March 11, 2014! We are big Planetshakers fans, and as worship leaders ourselves, we have regularly used some of their material in our church. I was pleasantly surprised myself though as I found the majority of this large song collection (14 new songs!) is very congregation-friendly! I didn't find their previous CD to be as user-friendly, so this was great... and I can't seem to stop listening to this new project!